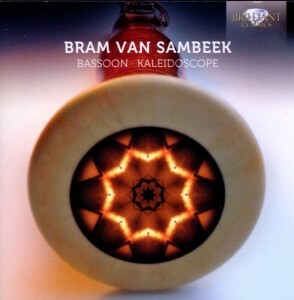 Bram van Sambeek (1980) was the first bassoonist ever to receive the highest Dutch Cultural Award in 30 years: The Dutch Music Prize, handed out to him personally by Minister of Culture Ronald Plasterk in 2009. On this occasion, Bram played the bassoon concerto by Gubaidulina with the Rotterdam Philharmonic and chief conductor Seguin. De Telegraaf newspaper wrote about this performance: “He uses his instrument freely as a mouthpiece, conjures the finest timbres, and is technically capable of doing anything.” In 2011 he won a Borletti Buitoni Trust Award, and he has been admitted to The Chamber Music Society Two programme of New York’s Lincoln Center. In 2018 Bram won the BBC Music Magazine Concerto Award for the premiere recordings of the bassoon concertos by Kalevi Aho and Sebastian Fagerlund. From 2002 until 2011 Bram was Principal Bassoonist of the Rotterdam season he started a professorship exclusively at the Hochschule für Music und Tanz in Cologne. Bram has taught masterclasses at schools like Bloomington Indiana, the Royal College of London, and the Conservatory of Busan, Korea. He played regularly as a Guest Principal with the London Symphony Orchestra and the Mahler Chamber Orchestra. As a chamber musician he has worked with Alexei Ogrintchouk, Jörg Widmann, Reto Bieri, Clara Andradas de la Calle, Hervé Joulain, Radovan Vlatkovich, Liza Ferschtman, Christoph Pregardien, Pekka Kuusisto, Nicolas Altstaedt and Rick Stotijn. In 2010 Bram was offered a Carte Blanche series in the Concertgebouw Amsterdam and in 2015 he received a “Wild Card” consisting of many adventurous concerts at the Muziekgebouw aan ’t IJ, also in Amsterdam. He is a regular guest at festivals like the Delft Chamber Music Festival, Storioni Festival, Orlando Festival, West Cork Chamber Music Festival, Lockenhaus Chamber Music Festival and the Australian Festival of Chamber Music, and has investigated concert practice in cooperation with Radio Kootwijk Live, experimenting with innovations such as playing people to sleep. Bram is very much interested in playing any style he likes, which leads him to work with rock musicians like Sven Figee in Konzerthaus Berlin, Jazz musicians like Joris Roelofs at the famous North Sea Jazz Festival, Arabic musicians like Kinan Azmeh in the Newlands Festival, and improvisers like Ernst Glerum in the “Apples and Olives” festival in Zürich. Bram decided to start playing the bassoon when he was ten years old, beginning his studies with Fred Gaasterland and continuing later with Joep Terwey and Johan Steinmann at the Royal Conservatory of The Hague. After his graduation, he took private lessons with Gustavo Núñez. In addition, he has participated in masterclasses with Brian Pollard and two of the most important bassoon soloists in the world: Klaus Thunemann and Sergio Azzolini. Bram also plays on a very special bassoon, an instrument that has been played for many years by both these musicians. 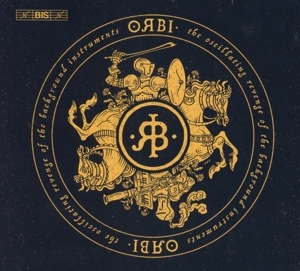 On his debut cd with Brilliant Classics, called ‘Bassoon Concertos’, he presented a very accessible programme of bassoon concertos by Vivaldi, Du Puy, Villa Lobos, and Olthuis, receiving rave reviews like this remark in the Dutch music magazine Luister: “Judging by his playing, Mr van Sambeek awaits a golden future.” In march 2012, Brilliant Classics released his second cd “Bassoon-Kaleidoscope,” which includes different chamber music pieces, as well as a rock song. In 2015-2016 Bram has performed the two new bassoon concertos by Sebastian Fagerlund and Kalevi Aho and recorded them for the BIS label with whom he has an on-going cooperation. Last year he was the spokesman of the “Save the bassoon” campaign set up by the Holland Festival. This lead to a lot of international attention and publicity for the instrument in the London Times, the Guardian, Süddeutsche Zeitung and played on many television shows.